Thegardencentral.com is a site that aims to inculcate the habit of planting and caring for plants in the smallest of places. 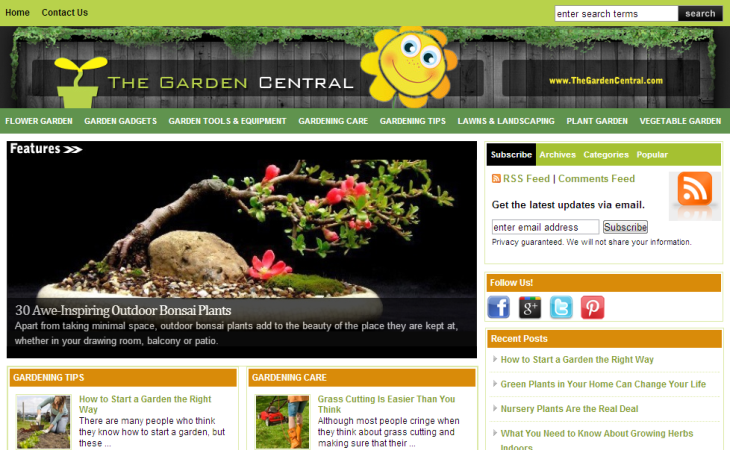 The site is also a place where gardening enthusiasts can increase their knowledge base on the ‘how to’s of gardening. The website is a place to explore the various gardening options, gardening implements and gardening instructions. The site is also a store house of tips and tricks on various gardening techniques. In addition to the basic gardening essentials the site also covers garden décor ideas, feature articles and editorials to keep the reader engaged and entertained.